All information related to the GTHD Orion Mk2 is non-canon. The GTHD Orion Mk2 is a Heavy Destroyer. The Orion MK2 was developed during the Second Great War. The prototype, GTHD Excalibur, was rushed into service by the SOC and participated in many vital missions. At the time of the Capella supernova, the Excalibur was blockading the Gamma Draconis node. Despite the loss of the prototype, it's early field deployment gave the designers much needed data about it's performance. Six years later the first production run of the new destroyer started. The Orion MK2 is bigger, faster and better armed than its predecessor. With two fighterbays and runways it can also launch fighters faster. The GTVA classifies it as a Heavy Destroyer. The forward beam cannon is very powerful but also vulnerable and has a limited field of fire. It is indeed a heavy destroyer, since it got one of the BFGreens in the nose. This destroyer can easily destroy any destroyer, but when it is fighting a juggernaut, it is a different story. One of the most feared destroyers, and with the Advanced Terran Huge Turret, it can take things are out far better, from bomb to ships. 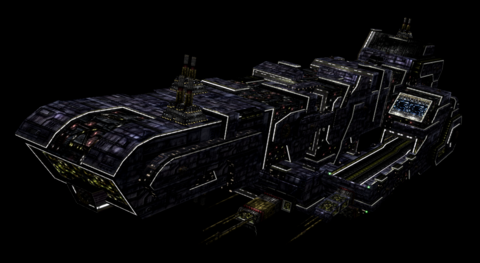 Similar warship - EACa Auriga appears in Inferno Nostos, but it's based on GTD Orion from MediaVPs and it's symmetrical. This page was last edited on 23 December 2018, at 17:07.